packs had to reflect the ‘permissable snack’ positioning of the product. 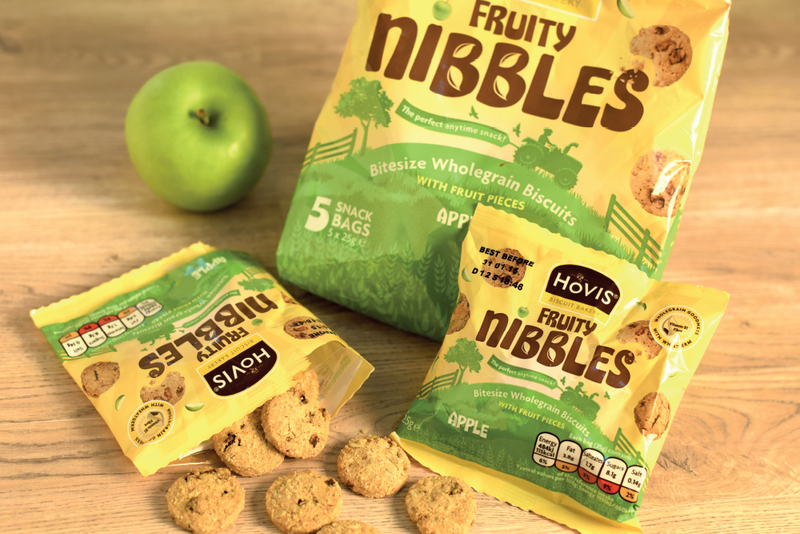 They’re a treat, but with real fruit pieces and the goodness of wholemeal flour, not such a guilty one. We created the name, branding and packaging to communicate the products ‘healthier’ positioning and reflect the strong Hovis brand values. The sunny colours and farm imagery reinforce the Hovis heritage and real fruit photography gives taste and flavour cues. 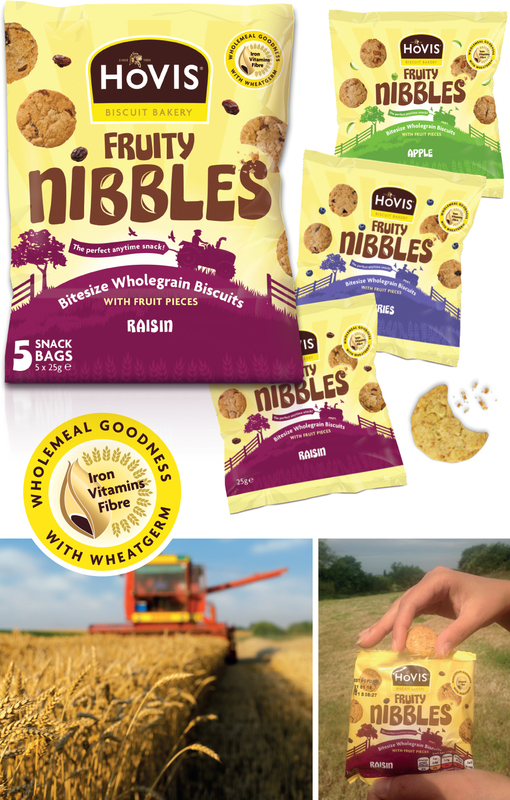 The tractor and banner device neatly tell consumers it’s the perfect ‘anytime snack’ whilst the wholemeal device reinforces the wholewheat benefits.